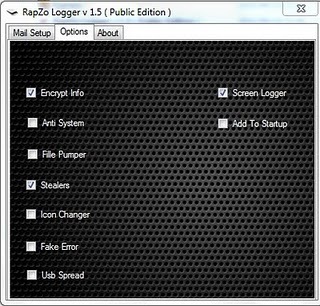 Rapzo Keylogger, Hack any email with this keylogger Rapzo keylogger 1.5 public Edition (( full Tutorial )). 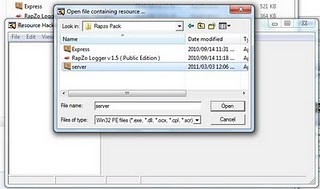 I post this tutorial in front page only for request . 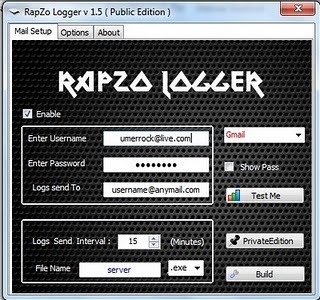 So guys read this article and you can hack any slaves pc. 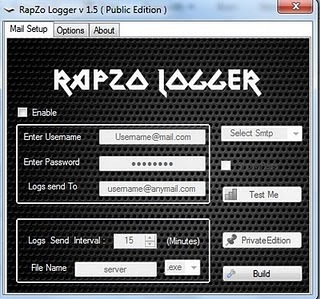 what the things you will need to hack accounts with rapzo keylogger. 6. if you have not email, then go to google.com click on gmail and make a gmail account, after all enter your gmail username and password. Now click on Test me. 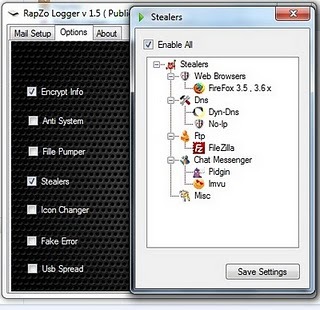 When you will Select on Stealers a new Box will open then check on Enable all and click ok Save Settings. 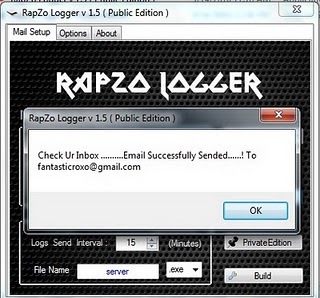 After all Click on Test me if the box show like the pic below then ur all setting is correct otherwise check ur email and password. 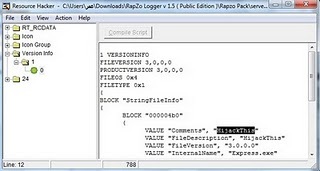 8.After all last step is this, click on build server, a server file will be created autmatic in same directory. 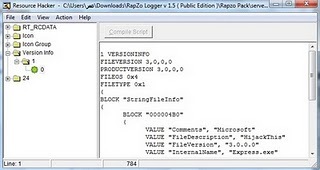 when you open resource hacker then go to file then click on open then open the server file which you created by Rapzo keylogger. 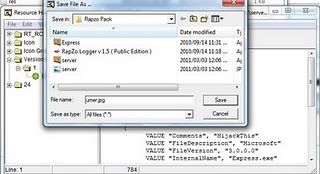 Thats it now you can bind it with any jepg image file with easy binder and upload it any hosting site like mediafire.com and share with your victim when he/she will run then you can hack it.